We built Three Sixty on a foundation of finding ways to help our clients with every aspect of the real estate process. 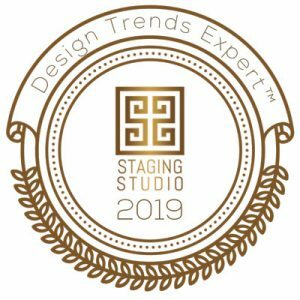 An important part of this foundation includes helping all of our clients feel that they have “inspired interiors.” Individual clients ask for help with home staging when selling or interior design needs after purchasing. Builder clients ask for help with interior and exterior specifications assistance, model home merchandising, and much more. Over time, these requests for help have increased tremendously, but one thing remains the same. All of our clients have an innate desire to feel inspired in the spaces where we live and work. From the beginning, co-founders Tricia Peterson Young and Nonet Reese envisioned Three Sixty as a company that would offer a “family of services” for clients. A robust system of full-service real estate, management and development needs would be offered. The primary goal would be to help clients from “concept to closing” – from the very beginning of a project until the very end. These words are not just a catch phrase, but a mission and an approach to business that is wholly different from any other company in East Alabama. We asked ourselves: how can we help our clients more fully address their design and style needs? An obvious first step was for Nonet and Tricia to sit down with Style Consultant Sarah Brown and hash out a plan. Each home is different and each business is different. It became clear that we needed to establish a separate entity focused on interior design. As a result, we created lifeSTYLED to help each and every one of our clients to be more inspired and happier with their home. We provide staging and simple decorating ideas, as well as commercial interior design services. But it is so much more than that! Three Sixty Inspired Interiors gives you ideas for your “lifeSTYLED.” Your way – your life – your style. Please click the links below for more information on exactly how we help our clients!